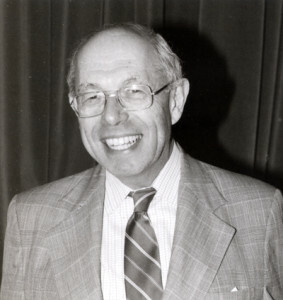 The Rabbi Malcolm Stern Grant honors the late Rabbi Malcolm H. Stern, widely considered to be the dean of American Jewish genealogy, and his efforts to increase the availability of resources for Jewish genealogical research. The John Stedman Memorial Grant: In 2013 the IAJGS was a recipient of a $15,000 gift from the estate of Jon Stedman to honor his late father, John Stedman. The IAJGS Board decided that a special $3,000 grant in memory of John Stedman under the Rabbi Malcolm Stern Grant be given for a single project for each of the next five years. The Rabbi Malcolm H. Stern Grant Committee is established each year to consider nominations to be presented to the IAJGS Board for their consideration. Nominations may be made by an individual or group, IAJGS member society or non-member, or self nominated. The Committee can proactively pursue additional nominees. We also encourage you to send a donation to the Rabbi Malcolm Stern Grant Fund in addition to nominating an organization to receive the Grant. For information regarding the current committee contacts and submission deadline, go to the Grant Nomination Form. Please consult the Award Rules and Criteria. Nominations should be made using the Grant Nomination Form. The committee will make a recommendation to the IAJGS board, for their consideration and approval, which is then presented to the membership for a vote at the annual meeting.